Media Only. August 31, 2010. An increase in the number of community service trips and charitable vacations undertaken by young travelers prompts FTF to launch a blog on the topic. Every year, Family Travel Forum (FTF) hosts a teen travel writing scholarship asking young travelers to blog about their most imporant vacation experiences. Follow up surveys and data analyses indicate that community service and mission trips are a continuously growing trend among young travelers. According to the analysis, trips with the primary purpose of helping others have increased year over year since FTF began its scholarship, rising from 7.5% in 2007 to 10% in 2008 and 12% in 2009, certainly a reflection of teens’ growing awareness of global poverty. In 2009, the 5,700 travel blogs submitted indicated that teens have a keen interest in Middle Eastern politics and poverty issues in Africa. Also, according to the judges’ reports, the essays reflected greater concern over the state of the world and its people. With this information, FTF started MissionHolidays.Blogspot.com, a blog dedicated to helping teens and young adults find service opportunities through travel volunteerism, charitable work, and community assistance programs. The mission is to get the word out about what service trips are really like, which organizations are offering trips, and to encourage everyone to help others through community service. 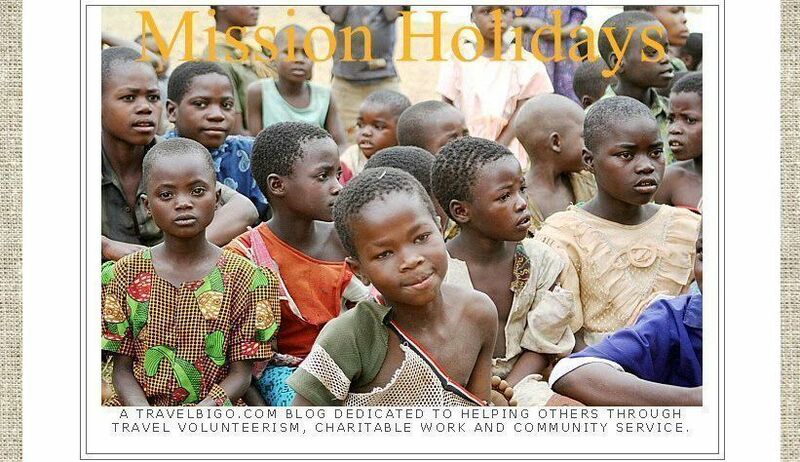 Mission Holidays also hopes to educate travelers about godo work and service that can be done in countries all over the world, as well as in your own neighborhood. Additionally, the blog features many of the essays submitted by young travelers to the travelBIGO community. Through this writing, there is a unique opportunity to encourage and raise awareness about service trips for teens. Another way to promote teen service trips is with the Mission Holidays brochure, an easy-to-download PDF that features one volunteer vacation essay. The brochure will be available free of charge, for distribution to teens across the country. Family Travel Forum plans to publish Mission Holidays brochures monthly, with editions tailored to the needs of specific organizations with different formatting or content. All interested groups should get in touch with the FTF office to discuss their needs.